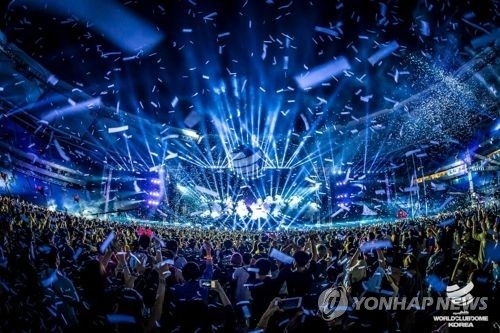 SEOUL, Aug. 7 (Yonhap) -- An international electronic dance music festival is set to kick off in South Korea next month, with world-renowned DJs in the lineup, the country's tourism promotion agency said Tuesday. The three-day BigCityBeats World Club Dome Korea 2018 will be launched at Munhak Stadium in Incheon, west of Seoul, on Sept. 14, according to the Korea Tourism Organization (KTO). The international music festival by German radio station BigCityBeats, which began in 2013, took place in South Korea last year, marking the first time it has taken place in Asia. Some 120 teams, including Martin Garrix, Dimitri Vegas & Like Mike and Armin van Buuren, will perform at this year's event. The tourism promotion agency said about 150,000 music fans, including 40,000 foreigners, are expected to attend the festival.